In the event that you don’t live under a rock, I don’t have to tell you about the insanity in the world right now. If you think I’m going to dive into politics, then think again. What I want to chime in about is the solution. Whether you need to catch up with old friends, or want to throat punch someone over a Facebook post, I urge you to have a food involved. A great meal is one of the best ways to patch things with family and friends. 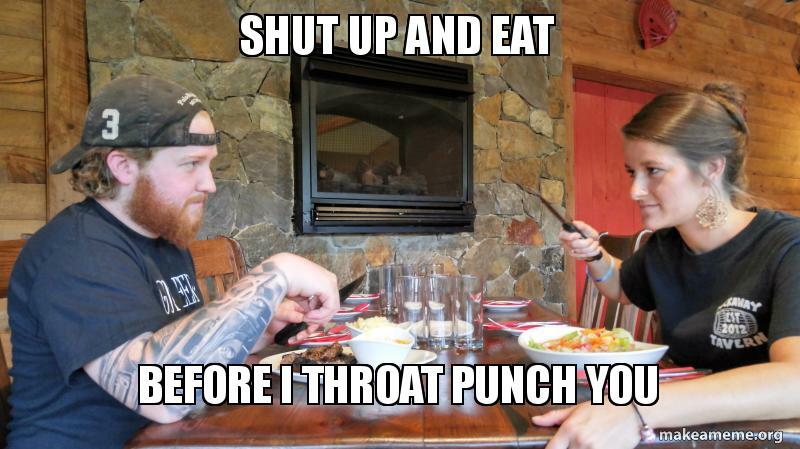 And the least you could do is offer someone NH’s Best Steak Tips before you assault them. Our market place has all the ammo you need for an amazing, political fence mending meal. Everything from the marinated chicken, gourmet burgers, select locally grown produce. Heck, we even have duck eggs to help you make more flavorful and richer desserts. It’s a universally known truth, that a person in possession of good fortune is in need of good food. In the best of times, and the worst of times, food is one thing that has always brought people together throughout the ages. Without a doubt, wars have been avoided, and alliances made at a dinner table full of amazing food and exceptional beer. I can’t wait to try you out!